Yeah, this is a topic that seems to appear everywhere, from local orange county publicity sites to national web marketers. But it still needs to be repeated, even if you only do one of these important rules to keep your web site optimized and search engine friendly, you will be ahead of the competition. 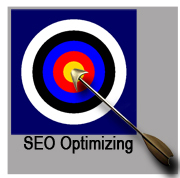 You can find a lot of information about SEO optimization on the web. If you do a search in Google for the words “seo optimization” you get over 6 million searches. Too many to read, and which ones do you choose? You can’t only select the top 5 or 8 searches, because most of those only give a definition of seo’s. Well, I’ll make this simple and easy enough for any local publicity agency or even a novice web designer to do. 1- Keyword and keyphrases. Although many web marketers might dispute the fact that keywords and keyphrases may not be the pr marketing strategy to use, it still holds a lot of attention for seo’s and their methods of rankings. To keep your keywords and phrases current, you need to do some research. It is necessary to find what are the most requested terms/words for your specific industry and place them into your meta keyword/phrases. But do not overload or stuff your keyword, meaning do not put more than 12 to 15. This is what I recommend. Otherwise the seo’s will move you down the rankings. 2. Page titles. Very, very important. Do this correctly and it will pay off. Each title should be different for each page, and include the keywords you use. The best way to understand using titles is to think of yourself looking through books at a library. If the title helps you to stop and look deeper into that book because it relates to what you age looking for, then that’s how the titles work in your web site for the search engines. 3. Meta description. Similar to your page titles, these help the seo’s provide the description to your listings. Each page of your site should have its own meta description. Keep in mind to not have the description be more than 155 words. This is one of the areas that you can control since the seo’s will grab your descriptions for the listings. 4. Keeping the site fresh. You should make it a point to refresh the site every 3 or 4 months. Not change the site, but modify the text, refresh the keywords, and re-visit how the elements are positioned on the site. Then after doing this, re-submit the site to all the seo’s and directories. There are many other things that will help keep your site listed and ranked high, for example these would be: a) blogging, b) publicity releases, c) articles published, d) RSS feeds, e) social networking, f) have an on-going pr marketing strategy plan to assure the site meets it’s goals, just to list a few. There are over a billion sites/pages and millions added everyday. If you do not have an on-going web marketing plan, then it’s time to implement one. Do you need professional help that is affordable? Give George Carson a call at 949-477-9400. Carson Marketing, Inc has been helping pr clients with their web marketing needs for over 10 years.